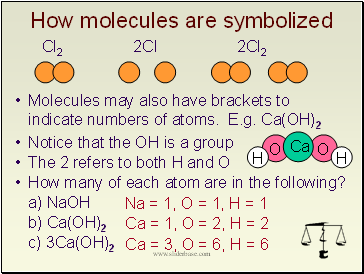 How many of each atom are in the following? 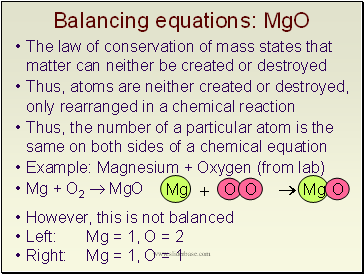 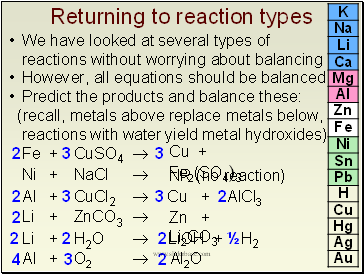 Hints: start with elements that occur in one compound on each side. 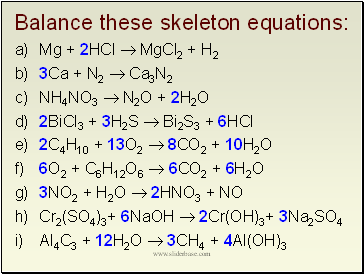 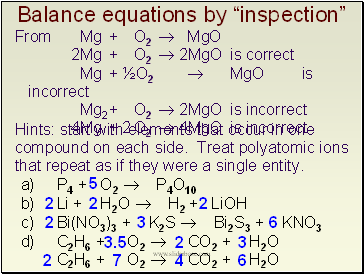 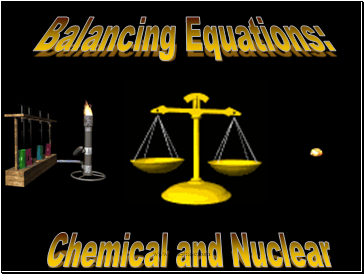 Treat polyatomic ions that repeat as if they were a single entity.